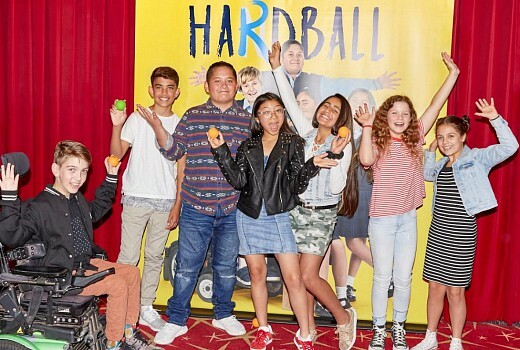 ABC ME’s newest local series Hardball begins on Monday. 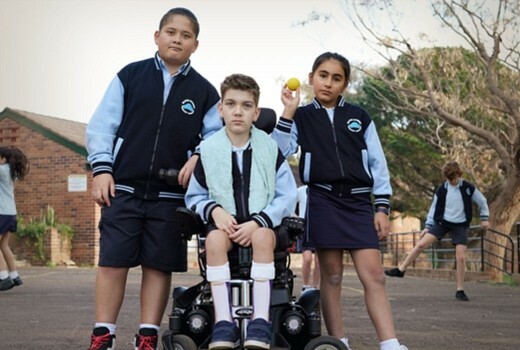 The 13 part series produced by Northern Pictures revolves around primary school children in Western Sydney as they prepare for a handball tournament. The diverse cast includes several newcomers, who attended a screening in at FOX Studios on Sunday plus Maria Walker, Daya Sao-Mafiti, Helen Dallimore and creators Guy Edmonds & Matt Steele. The series debuted on the ABC ME app earlier this month. During lunchtime on his first day at a new school, Mikey discovers something completely unknown – handball. Where he’s from, rugby rules, but here handball’s where it’s at. Mikey doesn’t know it, but this game’s going to change his life. Jerry, Mikey’s classmate and handball tragic, is convinced Mikey is a handball messiah, and the school’s only hope for SASI-WESTS-HAT – the inaugural Western Sydney handball tournament, which is weird since Mikey has the coordination of a baby zebra. Jerry does his best to get Mikey to play. Sure, Jerry’s got to bend the truth a little, but Mikey reluctantly jumps on board. Only problem is, Mikey can’t play for peanuts. So Jerry enlist Salwa, a handball master, to turn Mikey from zero to hero, in the quest to be the best in the west. Production credits: 13 x 30mins. Created by Guy Edmonds, Matt Zeremes and Catherine Nebauer. Written by Guy Edmonds and Matt Zeremes. Series Producer Joe Weatherstone. Executive Produced for Northern Pictures Catherine Nebauer. Executive Produced for ACTF Bernadette O’Mahony. Executive Producer for ABC Jan Stradling. Hardball is a Northern Pictures production for the Australian Broadcasting Corporation. Principal production investment from Screen Australia, Australian Broadcasting Corporation, Australian Children’s Television Foundation, Create NSW and Northern Pictures. 4:30pm Monday April 22 on ABC ME.